Discover a varied offer of budget historical tours that will take you through some of the most renowned destinations such as New Delhi and Agra. Each affordable tour will provide you with memorable experiences for some of the lowest prices on the market. "The hotel in Delhi was below average. 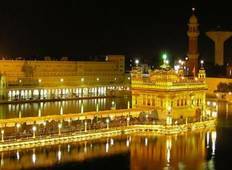 The hotel in Amritsar was well below standard." "Naval drove me for 4 days, on a tour of Delhi, Agra, and Jaipur. 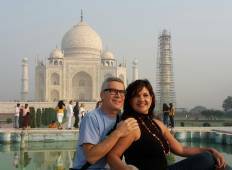 It was a fantastic..."
"We have great touring experience with Crystal India during our Golden Triangle Tour...."
"Agra Taj Visit arranged a tour of Delhi, Agra, and Jaipur for us and tailored it..."
"Great exposure to India. Would definitely recommend it. Tour guides were friendly...."
"Thank you very much for organizing the trip. It has been excellent one. It was customized..."
"My partner and I booked the 4 day Golden Triangle Tour. We were able to see many..."